In a large skillet, add oil to about 1/4 inch depth. Turn the burner on to just below medium and heat the oil. Rinse the cod fillets and set aside. Stir together the flour, Cajun seasoning, salt and sesame seeds. Place on a large plate or a large flat-bottomed bowl. Put the egg in a second bowl or plate. Dredge each cod fillet in flour, then egg, then flour again. Repeat until all of the fillets are coated. Add to the hot oil. Cook until golden on both sides, and opaque throughout inside (about 10 minutes total). 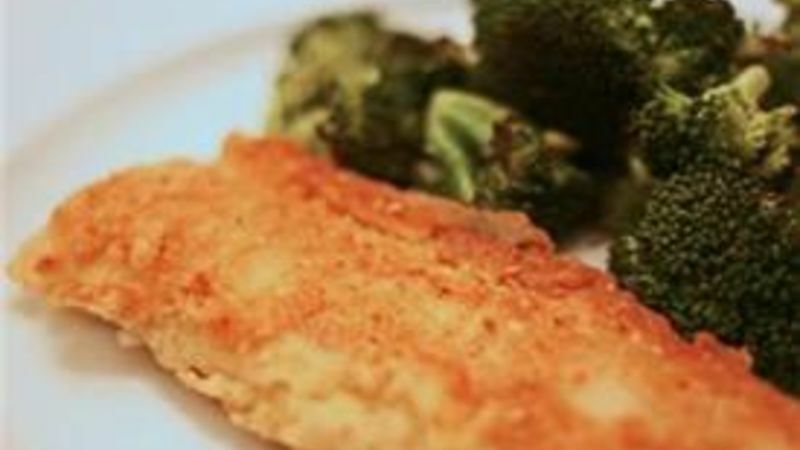 Don't shy away from preparing a tasty fried fish dinner because you think it will be fussy. Fried cod is actually one of the easiest fish dishes in our arsenal of cod recipes. That's because its large fillets and firm, flaky flesh make it the ideal fish for frying. And if that weren’t enough to convince you, the batter only requires a few pantry-staple ingredients and the entire recipe only takes 20 minutes from start to finish. Nothing beats fresh fish from the deli but frozen fillets will work, too. Just make sure your fish is completely thawed out before you batter and fry it up. Need a brush up on the basics? We have everything you need to know about fish frying.